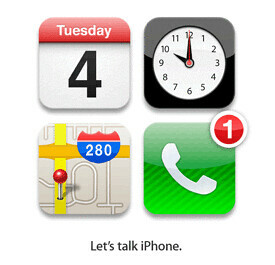 It'll actually be less than a week now for the official announcement of the new iPhone, shall I say, iPhone 5. I was browsing through The iPhone 5 News Blog for my daily dose of news about iPhone today and was pleasantly surprised - or, should we be surprised anymore after the long wait - to read the headlines. So, it's official. 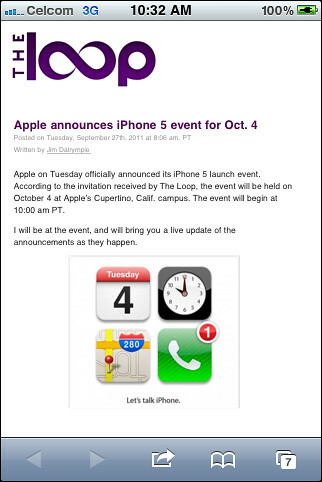 The Loop's Jim Dalrymple reported that he has been invited for the announcement as follows: "Let's Talk iPhone" October 4 at Apple’s Cupertino, Calif. campus. The event begin at 10:00 am PT. Jim said he will be at the event, and will bring a live update of the announcements as they happen. So let tune in to The Loop this Tuesday and get to hear it first hand; well almost.